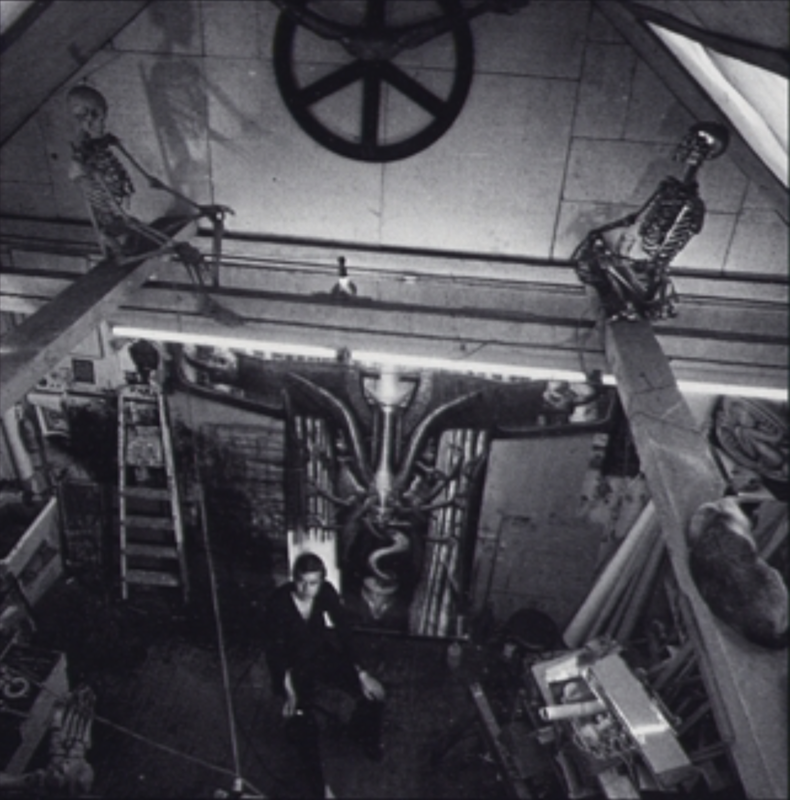 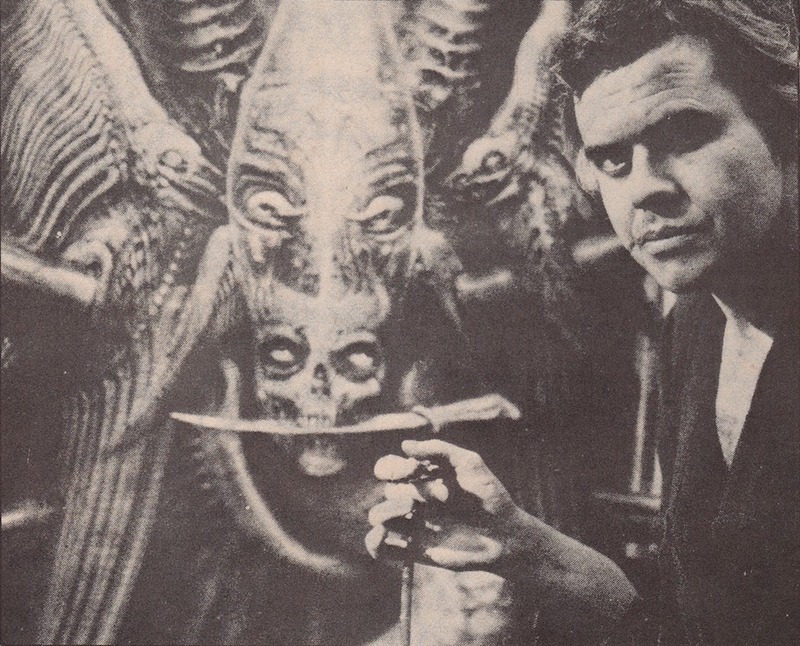 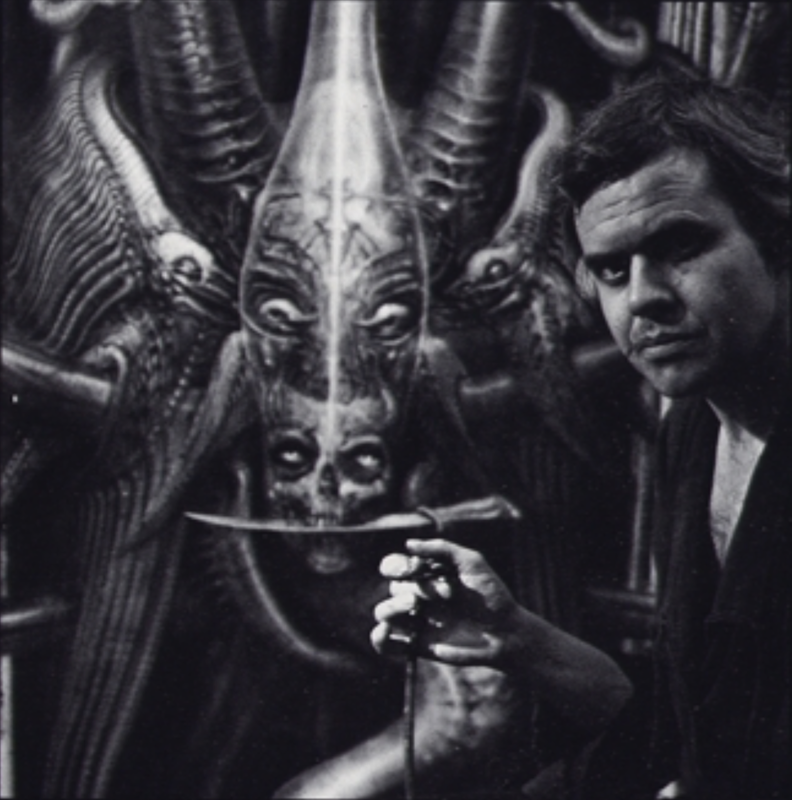 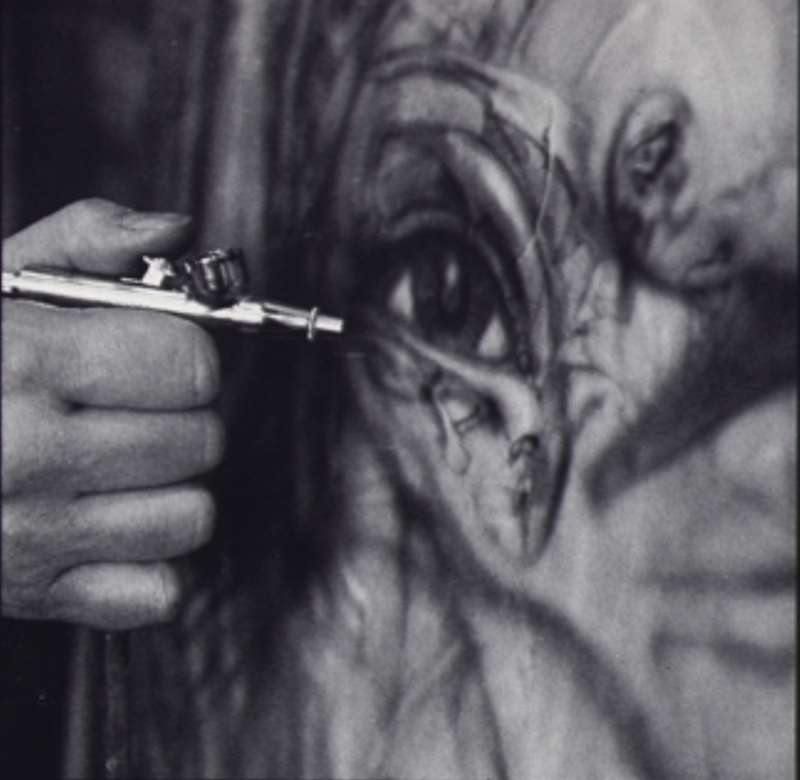 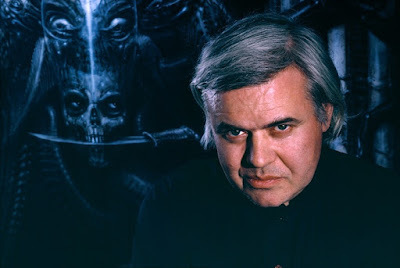 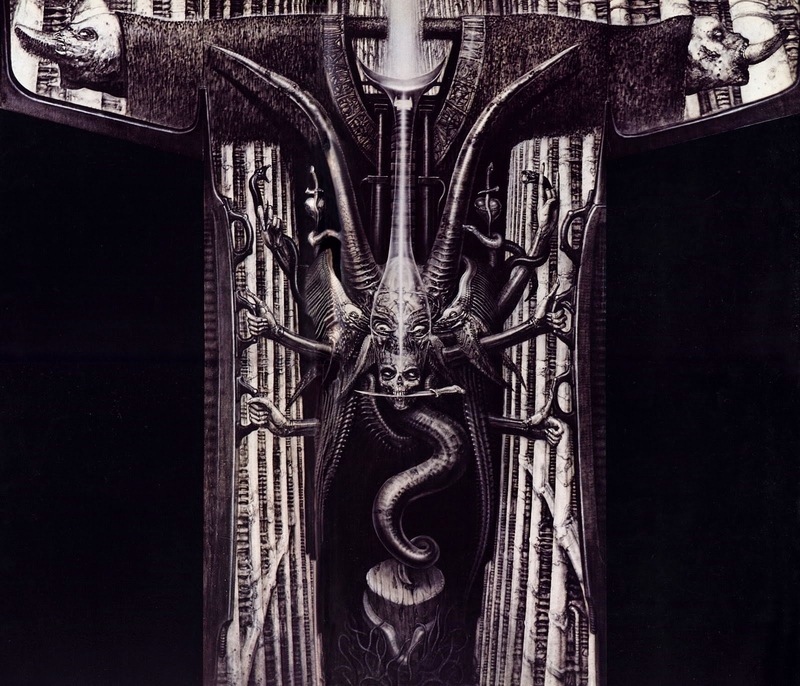 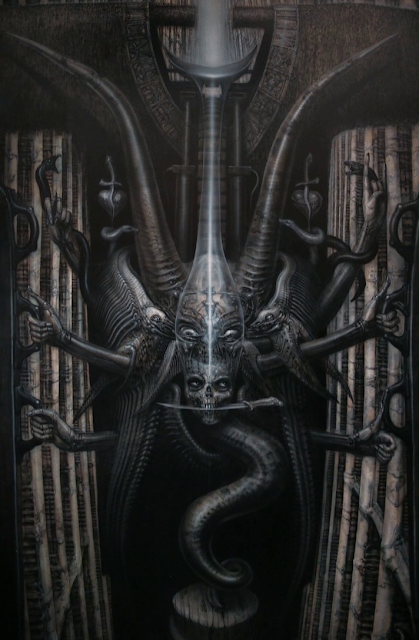 The first thing that I noticed in this painting The Spell by HR Giger is the central grotesque demonic face above the skull face beneath it that carries a blade in its teeth. 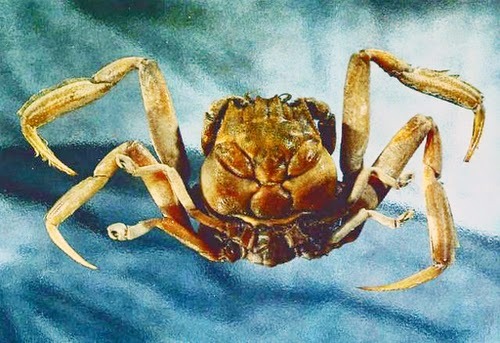 On the 30th July 2014 I thought about how it reminded me of one of the Heike crabs of Japanese face like structure on the top of it's shell similar to that of an angry samurai, imagined to be the souls of Japanese Samurai doomed to crawl across the surface in the form of crabs for allowing their clan to be destroyed in the 1185 naval Battle of Dan-no-ura. 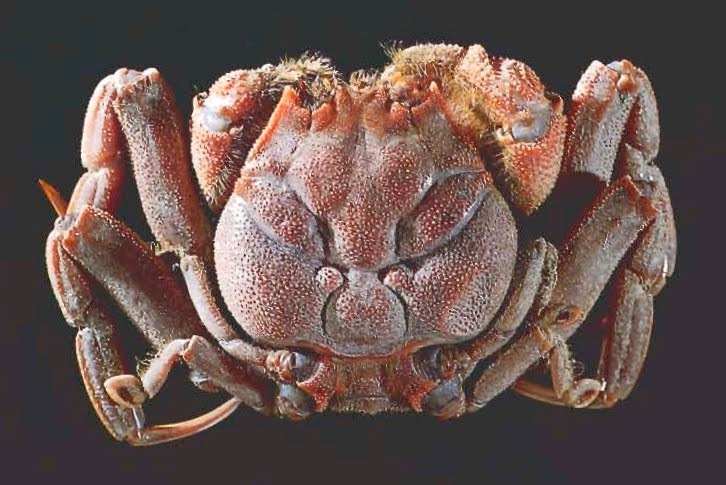 Seeing the multilimbs of the entity inspire me to wonder if the eight limbs and two horns are in some way the ten limbs of the Heike crab. 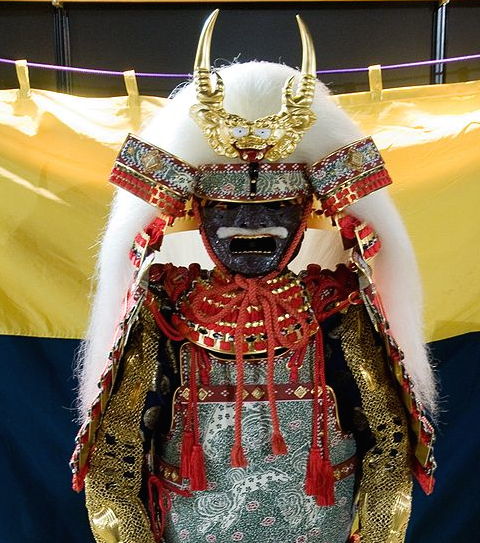 c) Homage to Takeda Shingen's head dress helmet? 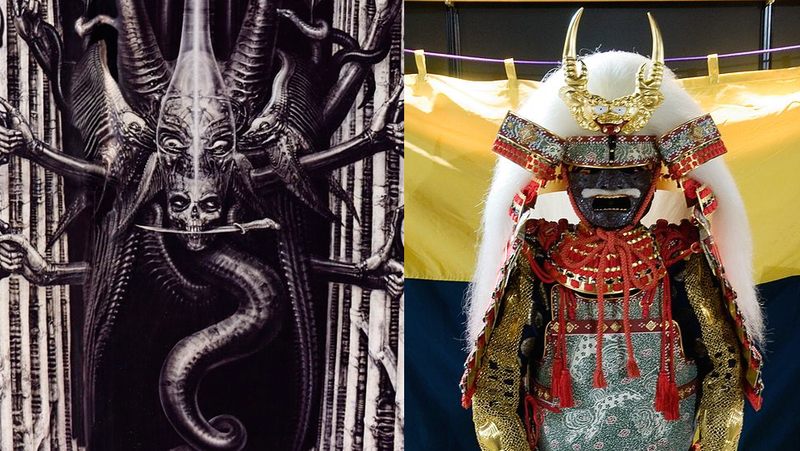 The next thing to notice about the design is that the angry face indeed has horns sticking out of its head and through looking up the images of Japanese helmets. 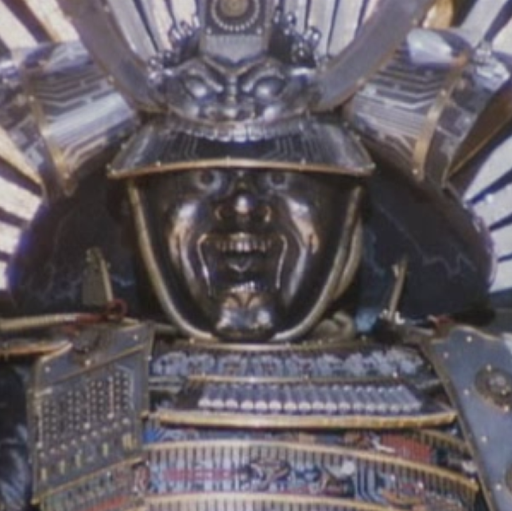 I noticed that on the front of the top of the helmet of the giant Samurai warrior in the movie Brazil, there was an angry face with horns and I searched further to see if it was possibly based on something real history. 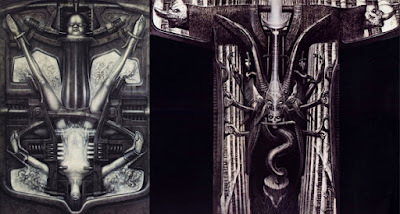 I also wondered about these tails of feathers like tentacles flowing down the side of this thing making me wonder if it was some sort of elaborate head dress. 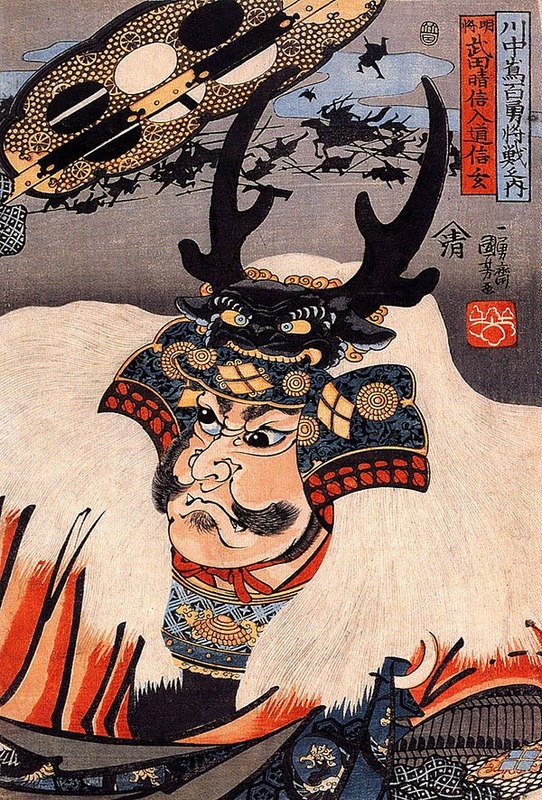 I came by one helmet with strange animal like face with large horns, and it was a representation of the head dress helmet used by the sixteenth century warlord Takeda Shingen. The protecting wings on the side of the helmet have been transformed into semi-bird bird like creatures, and the eyes of the upper face have been transformed into the heads of bird, and these birds are perched on the arm of this creature.